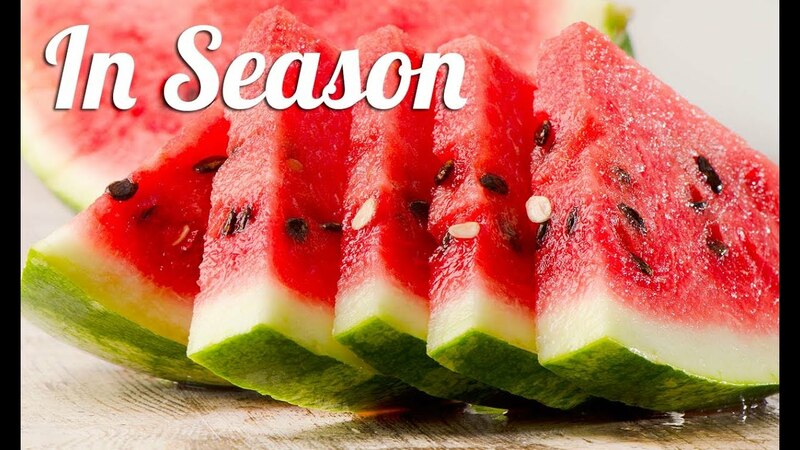 Summer is here, and along came the season of watermelons. Despite popular belief that watermelon is made up of only water and sugar, it is actually considered a nutrient dense food, a food that provides a high amount of vitamins, antioxidants, and minerals for a low amount of calories. Watermelons have become synonymous with summer. Their refreshing quality and sweet taste help to combat the heat. 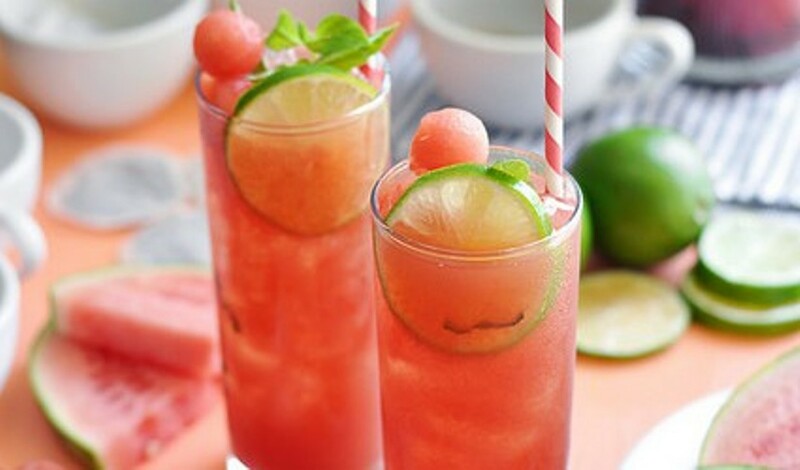 Here are some fun recipes you can try to beat the heat within the style. Pour 8 cups of boiling water into a heat-resistant pitcher. Add 8 tea bags and let steep for 10 minutes. Remove and discard the bags and allow the tea to cool to room temperature. Refrigerate until ready to use. 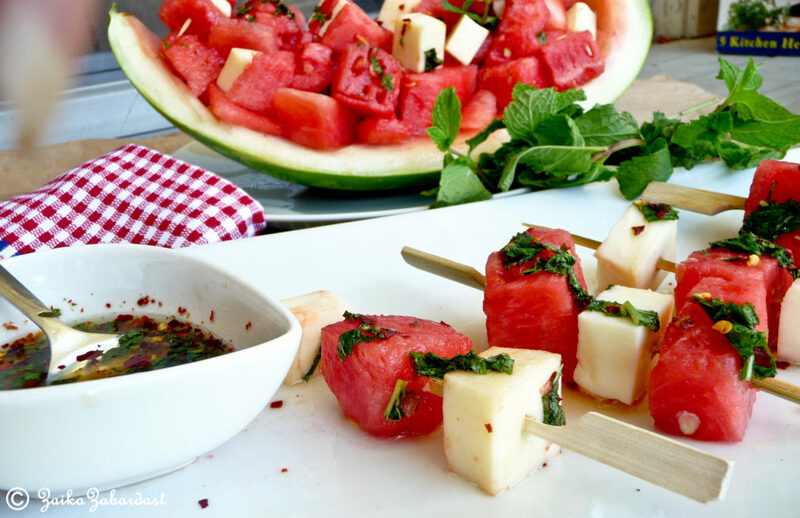 Before serving, add one medium watermelon cut into triangles and few sprigs of fresh basil and pour over ice. Serve immediately. You can add sugar as per your taste. Honey is also an healthier option. This iced tea tastes best with green tea also. Just replace the normal tea bags with green tea bags. 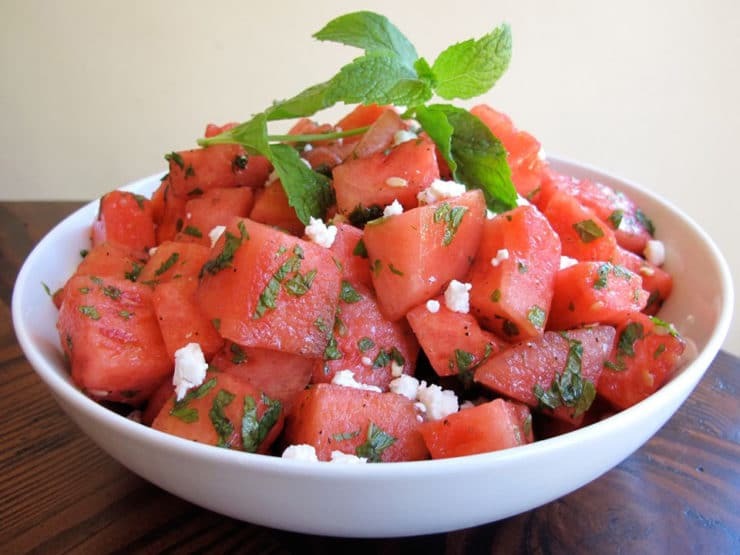 Place 3 cup cubed cantaloupes, honeydew and watermelons in a large bowl. Add two tablespoon freshly chopped basil to then mix and combine well. Drizzle two tablespoon of natural honey over the melon. Add the 8-ounce container mozzarella bocconcini, drained and cut in half, 2 tsp of finely chopped jalapeno, and salt. Toss again and serve chilled. Cut a medium watermelon into large pieces, discarding the rind. Place in a food processor and purée. Strain the puréed watermelon through a fine strainer to remove the pulp and seeds. 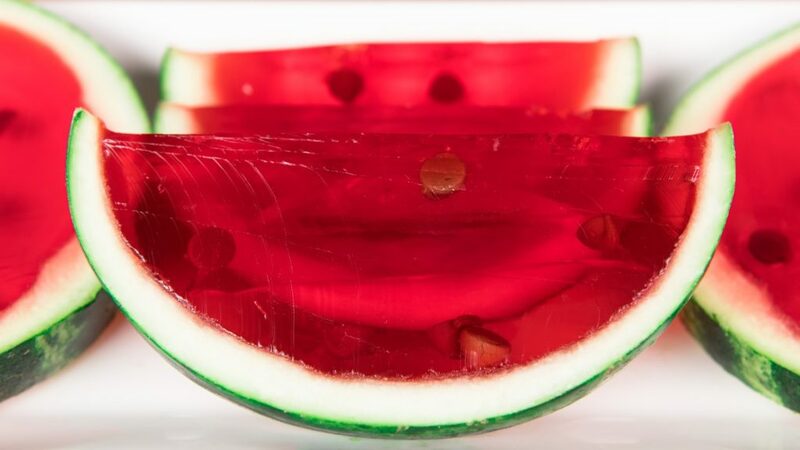 In a small bowl or measuring cup, combine 3 leaves of gelatin with 1 cup of the watermelon juice; let stand for 3 minutes. In a small saucepan, over medium heat, warm the remaining watermelon juice and ½ cup sugar until the sugar has dissolved. Whisk in the gelatin mixture and ¼ cup lemon juice. Remove from heat. Lightly oil an 8-inch square glass baking dish. Pour in the mixture, cover, and refrigerate overnight. To serve, cut the jelly into cubes and divide among individual bowls. Cut up a quarter of a medium watermelon (about 2 pounds) and arrange on a plate. 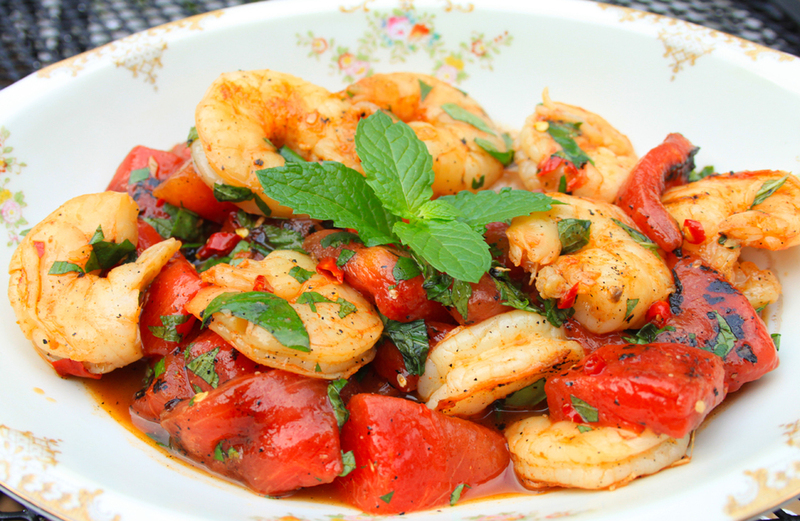 Sprinkle with ¼ thinly sliced red onion, ½ cup torn fresh mint leaves, and ¼ teaspoon each kosher salt and black pepper. 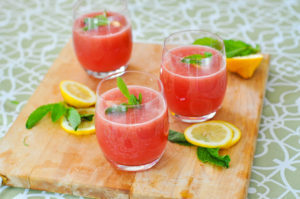 In a blender, puree 6 cups watermelons and 1-1/2 cup lemonade; strain if desired. Stir ½ cup fresh mint and serve over ice. For an instant cocktail: Stir in 1/2 cup vodka or tequila before serving. In a large bowl, combine 1 pound frozen, fully cooked medium shrimp, 1 medium thinly sliced onion, 4 cups of watermelon, 2 seeded and cut jalapenos, and 1 cup cubed avocado. In a small bowl, whisk together 1 tbsp lime juice, 1 tsp honey, 1 tsp oil, salt, and pepper. Pour the vinaigrette over the salad; toss. Sprinkle with ½ cup chopped cilantro. Set aside for 10 minutes to allow the flavors to meld. Serve cold. I am sure that you will try out these recipes. Come back for more recipes with more fruit this summer!